And behold, a certain lawyer stood up and tested Him, saying, “Teacher, what shall I do to inherit eternal life?” He said to him, “What is written in the law? What is your reading of it?” So he answered and said, “ ‘You shall love the Lord your God with all your heart, with all your soul, with all your strength, and with all your mind,’ and ‘your neighbor as yourself.’” And He said to him, “You have answered rightly; do this and you will live.” But he, wanting to justify himself, said to Jesus, “And who is my neighbor?” Then Jesus answered and said: “A certain man went down from Jerusalem to Jericho, and fell among thieves, who stripped him of his clothing, wounded him, and departed, leaving him half dead. Now by chance a certain priest came down that road. And when he saw him, he passed by on the other side. Likewise a Levite, when he arrived at the place, came and looked, and passed by on the other side. But a certain Samaritan, as he journeyed, came where he was. And when he saw him, he had compassion. So he went to him and bandaged his wounds, pouring on oil and wine; and he set him on his own animal, brought him to an inn, and took care of him. On the next day, when he departed, he took out two denarii, gave them to the innkeeper, and said to him, ‘Take care of him; and whatever more you spend, when I come again, I will repay you.’ So which of these three do you think was neighbor to him who fell among the thieves?” And he said, “He who showed mercy on him.” Then Jesus said to him, “Go and do likewise” (Luke 10:25-37). This is a passage that teaches us to help those in need; even those who are not our friends and may even be our adversaries. It’s a great lesson and an important call. But what’s interesting. 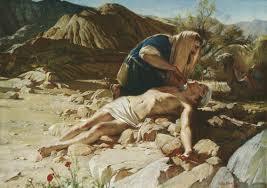 What’s really comforting: The Good Samaritan is best pictured as Jesus Himself. In our world, we are fallen sinners. We fall among sinners and are wounded by our own sins as well as the transgressions of others. We in this world are left for dead. And religion (priest and Levite) does not help our deepest needs. Indeed, a certain stranger (the Son of God) journeyed to earth and came to where we were. And Jesus had compassion on us. So Jesus went to us and bandaged our wounds, pouring on oil (anointing of the Spirit) and wine (the blood of Christ). And he then takes us to an inn, the church, and takes cares of us. He leaves for Heaven, but gives the Holy Spirit for the continuation of our care. And He says, “When I come again, I will repay.” Jesus shows mercy on us by giving Himself and caring for us with tender mercy. Let us delight in our Good Samaritan and as we receive His mercy, let us extend it as well. I know in Heaven I will be absolutely amazed to discover the numerous times God spared my life, paid my bills, protected me, and helped me when I was unaware. I shall praise Him for “all the things He has done for me.” Jesus is a person; a person who loves His people deeply and forever. He is not mere ritual, tradition, or ceremony. Trust Him and serve Him with your religious expressions and Bible-based traditions, but never let such things substitute for the wonder of Jesus. 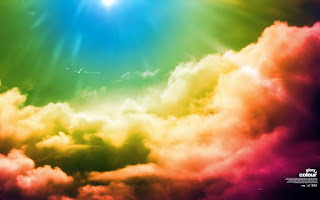 To go to Heaven, fully to enjoy God, is infinitely better than the most pleasant accommodations here: better than fathers and mothers, husbands, wives, or children, or the company of any or all earthly friends. These are but shadows; but God is the substance. These are but scattered beams; but God is the sun. These are but streams; but God is the fountain. These are but drops; but God is the ocean (Jonathan Edwards, The Works of Jonathan Edwards). In its essence, faith is a confidence in the person of Jesus Christ and in His power, so that even when His power does not serve my end, my confidence in Him remains because of who He is (Ravi Zacharias, Jesus Among Other Gods). May the God of Hope with you with all joy and peace as you trust in Him; may your overflow with hope by the power of the Holy Spirit (Romans 15:13).